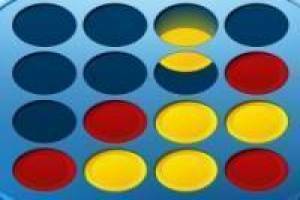 Connect colored tiles creating a horizontal, vertical or diagonal line before your opponents. Play with people from all over the planet in real time! A match to the classic game connects 4.4 in a Row or 4 online. This fun game can be made from any device: Smartphone, tablet and PC. Dare and click on this exciting game trying to make a vertical, horizontal or diagonal line before your opponents to move to other levels. Enjoy the game 4 in a row, it's free, it's one of our table games we've selected.